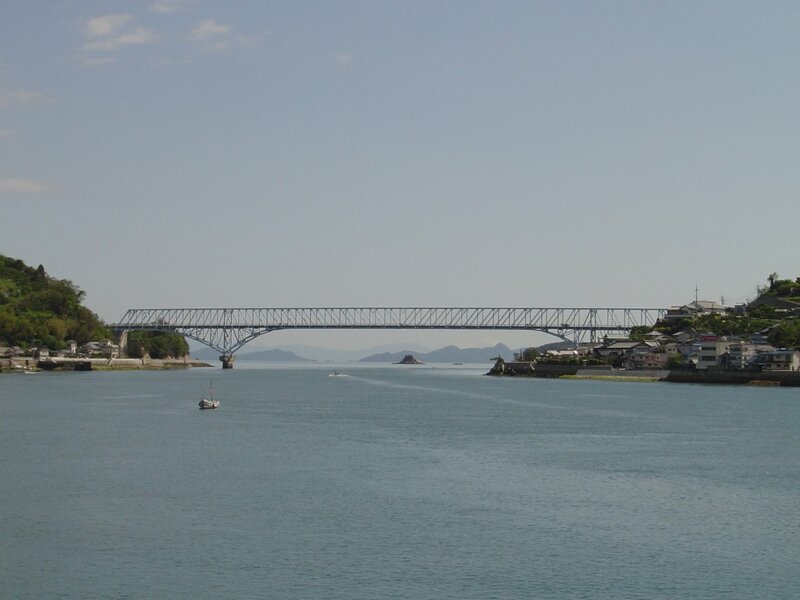 The island of Kamigari (蒲刈) is connected by a toll-free bridge to Shimokamigari Island. 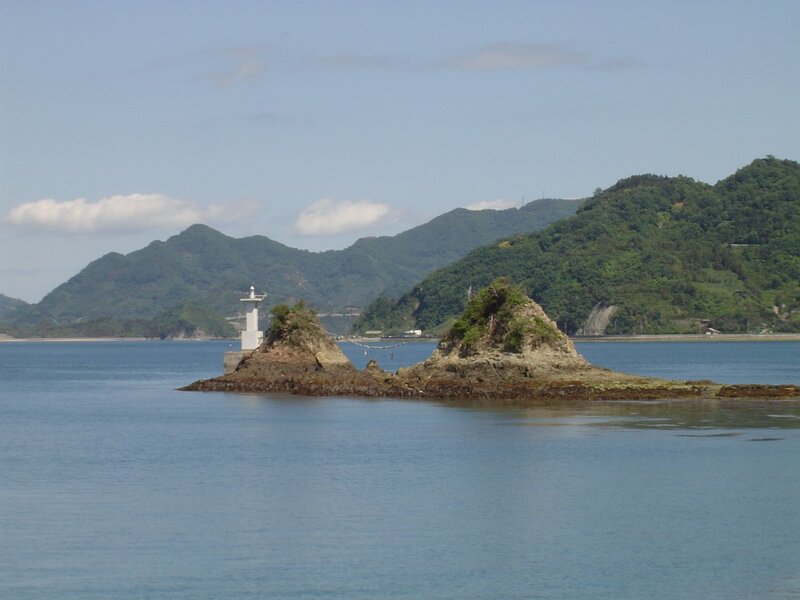 It is the second island in a chain which starts at the western edge of Mount Noro in Kawajiri. It is larger and a few more people live on Kamagari than on its sister island Shimokamagari. In all, 2,700 people (2000) live on the island. It is sometimes also called Kamikamagari (上蒲刈) which means upper Kamagari. Kamagari is most famous for its series of beaches along its southeast coast which are consistently ranked as one of the top 100 in Japan. In total, there is 1,000 meters of sandy beaches at Kenmin-no-Hama and Koigahama. The new road along the south coast is the faster way to get to the beaches but less interesting as very few people live there. 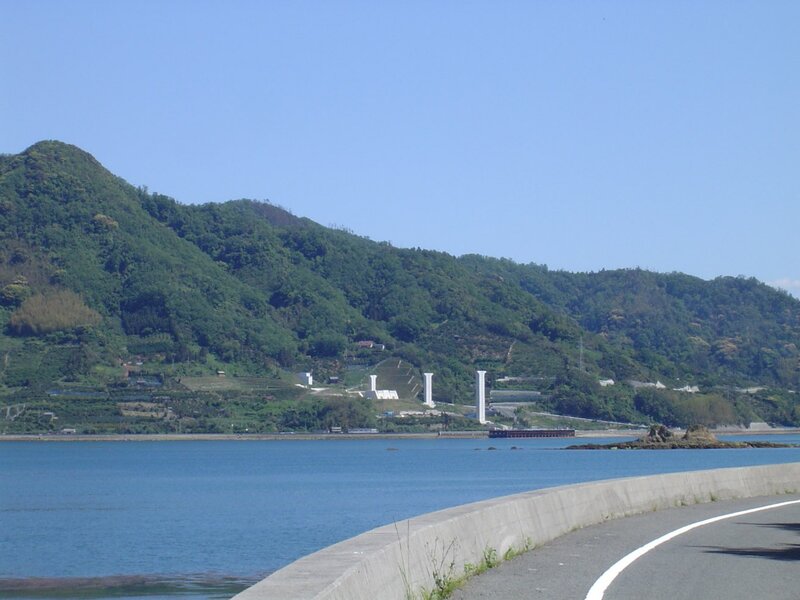 The island was amalgamated into Kure on March 20, 2005. 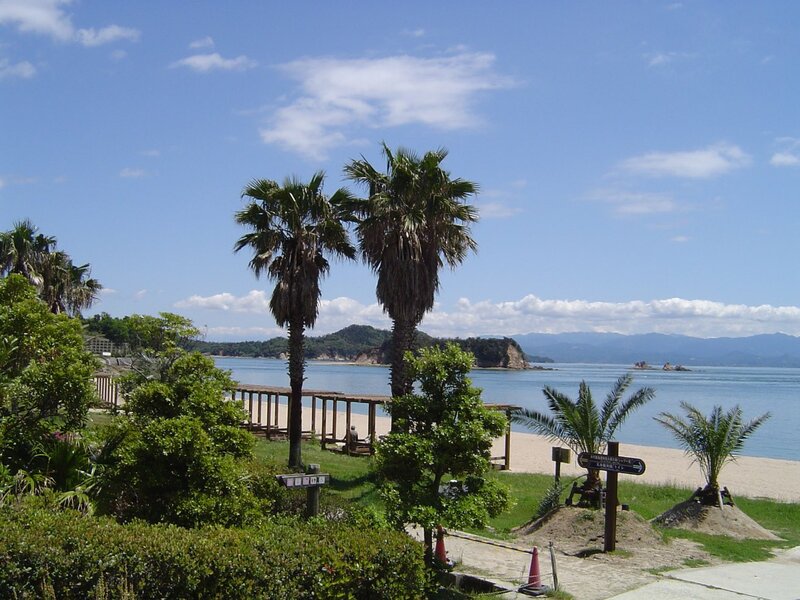 Literally, its name, Kenmin-no-Hama (県民の浜), means the citizens of the prefecture's beach. 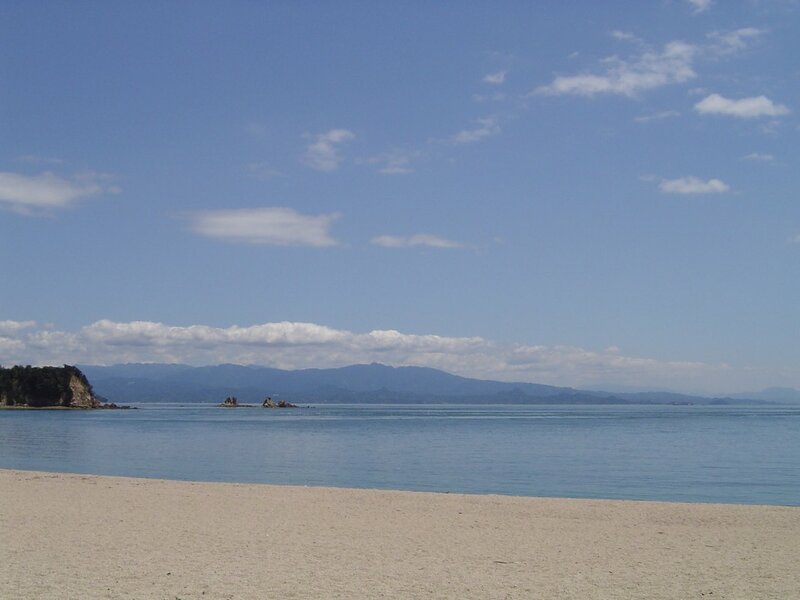 It is a popular recreation beach which is located near Kamigari's southern most point and is likely the best beach in Hiroshima-ken. The light tan sandy beach is 400 meters long and 80 meters wide and the water is quite clear. The beach has all the amenities with showers, change rooms and picnic tables. The beach is officially opened for swimming in the first 10 days of August. There is also a lot more than just swimming to do at the beach. In addition, there is a soccer field and lawn polo behind the beach. There is also a salt museum which shows how salt was made in the past. 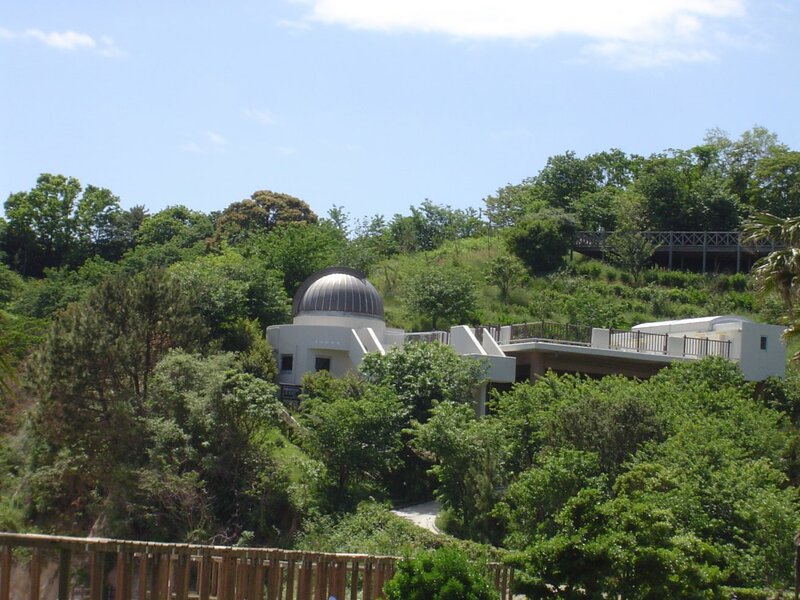 At night, visitors can head up to the astronomy dome and, for 200 yen, can look through the telescope at the stars. When there isn't swimming you can go pick fresh oranges (Nov - Dec) and strawberries (Jan - May) at Megumi-no-Oka. There is also a good restaurant at Megumi-no-Oka which is north of Kenmin-no-Hama. Koigahama (恋ヶ浜) is the other famous beach near Kenmin-no-hama. It isn't as nice a swimming beach and for the most part it is used mainly for fishing. The north coast of Kamagari Island has a number of interesting places and shops. It offers one of the best views of Mount Noro. There is a popular fish store on the north coast of Kamagari. It's a wonderful place to take a look at the kinds of fish that swim around in the Seto Inland Sea and the best part is that it's free to look unlike going to an aquarium. This light house is on the northern coast of Kamagari and a little bit past the location of the bridge being constructed to Toyohama. At a very low tide it would be quite easy to walk out to it. Shimokamagari's and Kamagari's local specialty is oranges. Many different varieties of oranges grow in the fertile soil on sunlit southern facing sides of the islands. Other types of vegetables are grown on the few flat fields on the islands but most accessible hills near the water are covered with orange trees. Orange production boomed during Japan's rapid economic thanks to the introduction of irrigation via a submarine pipe from Kure and chemical fertilizers. Today, many of the orchards in less accessible areas have been abandoned as farmers have retired or because they were on marginal land. Also, the price of oranges in Japan fell steeply after the oil price crisis in 1973 and later when the bubble economy ended making orange farming much less profitable. Orange production has been further eroded by a serious lack of a sizable pool of seasonal farm laborers. Most young people have moved off the islands seeking better jobs. At one time, specialized railed carts were used to transport the fruit up and down the steep hills. Different types of oranges and mandarins mature and are sold throughout the year at local shops. The major local produce market is located just over Kamagari Bridge on Kamagari Island. 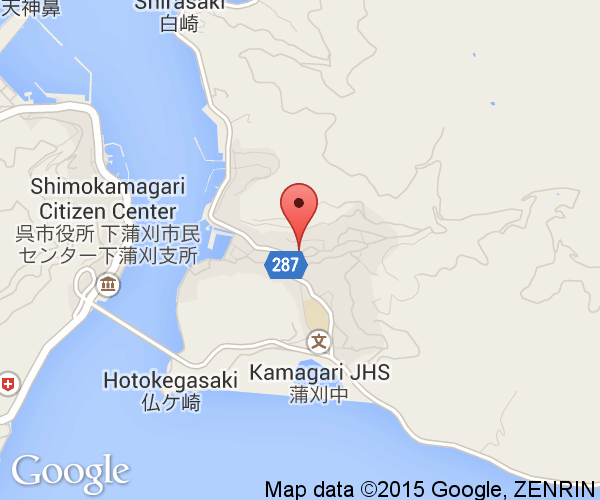 Kamagari Island is easily reached by bus from JR Hiro Station or JR Nigata Station. Not all buses traveling to the Kamagari Islands go the full distance to Kenmin-no-hama. A smaller local bus system operates on the islands. Biking around the two islands is quite popular and there is a bike rental shop at Sannose on Shimokamagari.